One of her best! Quality, fabric, and sizing are right on. 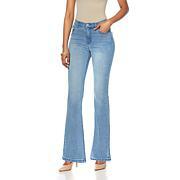 These Jean's step up a level with it's high end appearance and comfort. The Jean's accommodate for weight gain or loss very well, stretch out for ease of movement and do not wrinkle in leg area or knees and bounce back to have a fresh clean appearance. 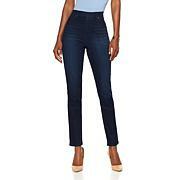 I size down from my regular retail size with her Jean's and they fit well. 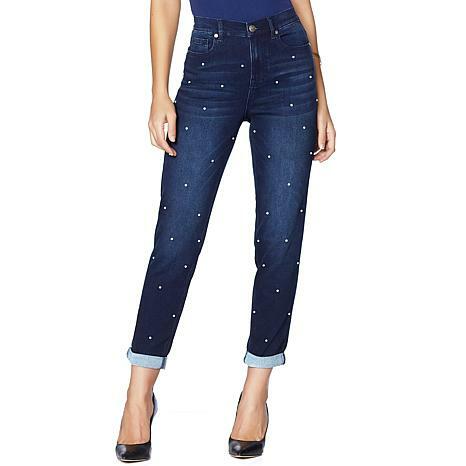 I fell in love with these scattered pearl jeans and ended up ordering them in black, indigo and gray. I absolutely love the look. A little pricy, well yes, but they are so unique. I'm not usually a "jeans" kind of gal, and Marla Wynne's pants have been my standard, but these jeans are a nice change and give you just the right amount of edginess in your dress. Size was spot on too. I always sew up the pockets because NO ONE needs added bulk, especially in front. Good buy! I receive so many compliments whenever I wear these pants. All of my girlfriends ask me where I got them, and I proudly say HSN!!! Perfect fit!! !